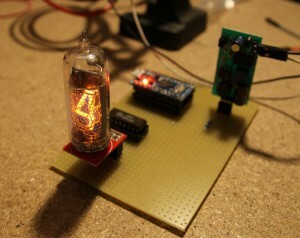 Today I worked on a prototype to understand how to use an Arduino to “control” a nixie tube. 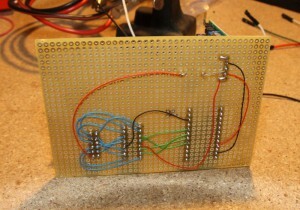 The goal was to write a sketch to display a sequence of digits from 0 to 9. 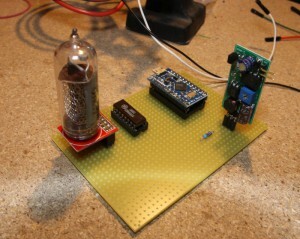 As I explained in the previous post, a nixie tube has one terminal (anode) that must be connected, through a 10Kohm resistor, to the high voltage (about 170V). 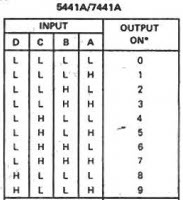 The remaining terminals (cathods) are connected to the corresponding PINs of the 74141 IC (or it’s russian version, K155ID1). This is a BCD to decimal driver: it reads the BCD (binary-coded decimal) value on the 4 input PINs (A-B-C-D) and enables the corresponding output. For example, if the input state is (D,C,B,A) = (0,0,1,1) the active output is number 3 and therefore 3 is the digit the tube displays. 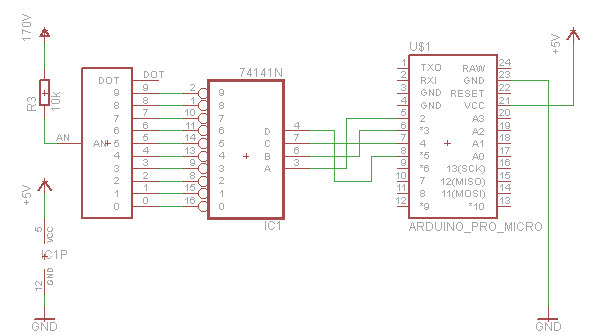 I chose an Arduino Pro Micro and connected its PINs 2,3,4,5 to the driver‘s PINs A,B,C,D. 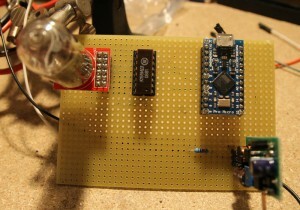 Then I connected power (5V) and ground of Arduino and driver to the low voltage output of the power supply module.